SIZE: H 9" X W 6 X D 4.5"
Bought these while on sale. My hearing is going so thought some enhancement was in order. They fit well. Microphones pick up noises well. Tested them watching TV . Could also hear the rain outside. So far the only thing wrong is a strong plastic smell. I bought a pair of these for my 12 yr old son who recently started hunting. I've used them on several occasions and have to say that I am extremely impressed. I was initially concerned that the amplification of sound would result in my footsteps through dry leaves drowning out all other sound - including noises made by grouse. This however is not the case. I am easily able to pick up noises made by animals and conversation with my hunting partner. I have also been pleasantly surprised by how well they suppress the gunshots. 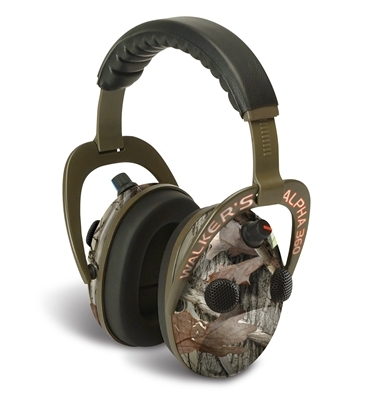 I highly recommend these to anyone who wants to protect their hearing while ensuring they are still able to hear conversations, nature and your prey. Now that I see they are on sale for half price ( beyond a bargain) I'm picking up a second pair.